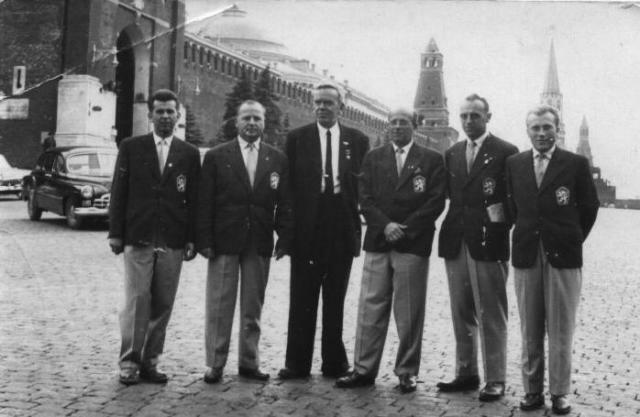 Bohuslav OK2BX as leader of Czechoslovak ARDF delegation in Moscow. Photo taken in 1960 on Red square together with Russian legendary ham radio operator Ernst Krenkel. RAEM. Left to right: OK1AUH OK3DG RAEM OK2BX OK2LS OK2BBF.